!2" X 10" Oil on wood panel £60 framed. 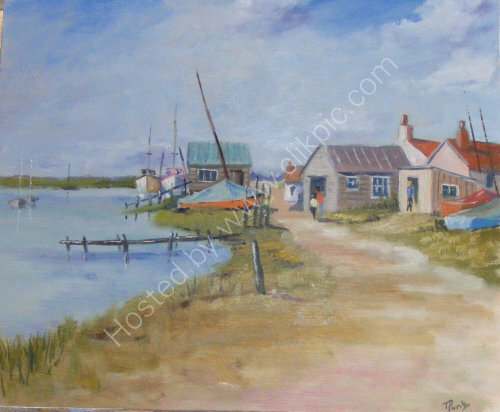 This picture was based on some historical images of Southwold. As with many places, this has changed somewhat and grown, but it does still maintain that old world charm and always has and hopefully always will attract artists.